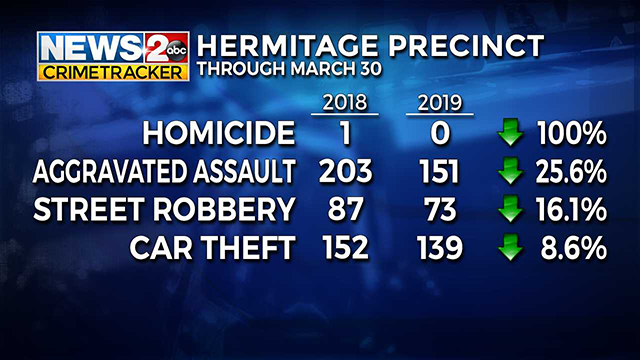 NASHVILLE, Tenn. (WKRN) - Homicides, street robberies and car thefts are all down in the area covered by the Metro police Hermitage precinct, though the overall number of crimes reported is up slightly, according to recent statistics from the police department. 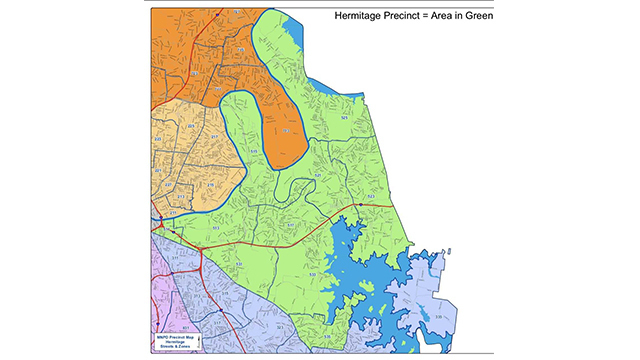 The data, which runs from January 1 through March 30 of both years, showed the area covered by the Hermitage precinct, which includes Hermitage, Donelson, Old Hickory and Priest Lake, experienced an approximately 2% increase in violent and property crimes from 1,394 reported incidents in 2018 to 1,423 in 2019. 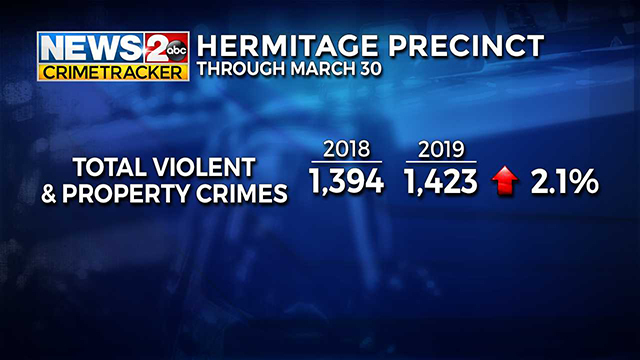 Homicides decreased 100% over the time period from one in 2018 to zero for 2019, Metro police reported. Street robberies dropped about 16% from 87 to 73, while auto thefts were down about 9% from 152 to 139. The number of aggravated assaults reported also decreased about a quarter from 203 in 2018 to 151 in 2019. 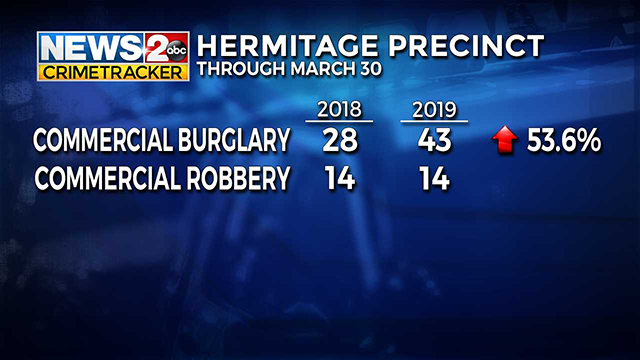 Commercial burglaries in the Hermitage precinct were up about 54% from 28 to 43, while commercial robberies remained consistent at 14 for both years. News 2 breaks down crime statistics in Nashville and the surrounding counties Wednesdays during our 6 a.m. hour of Good Morning Nashville.